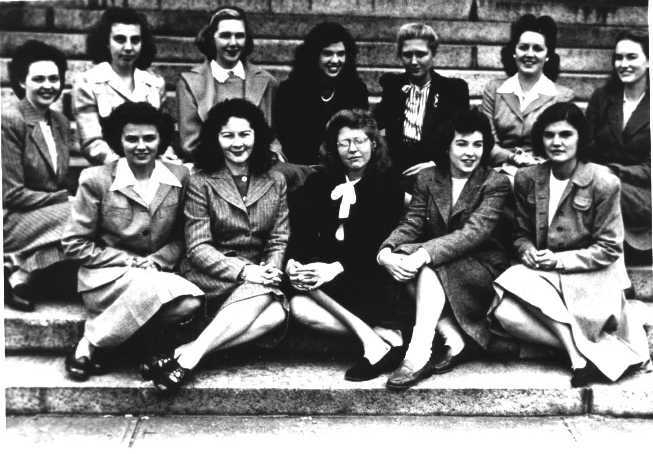 Harvard Medical School has both a long and a brief history regarding women students and faculty members. This exhibit explores that complicated history, highlighting the first woman student applicant and Harvard Medical School’s first coeducational class; the first group of women researchers, instructors, leading to the first full professor; the Joint Committee on the Status of Women; and the creation of the Archives for Women in Medicine and the importance of highlighting the achievements of women leaders in medicine. 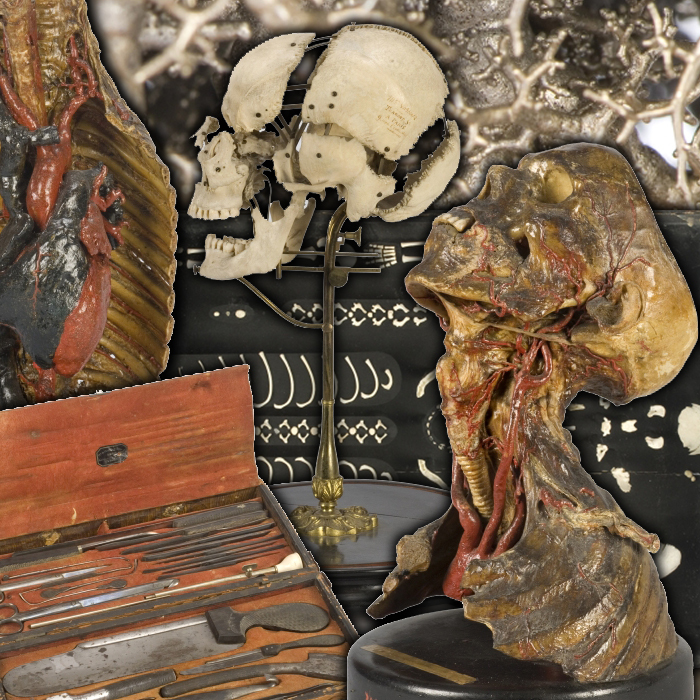 An online exhibit partnering artifacts and osteological preparations from the Warren Anatomical Museum with the modern and historical photographic techniques of the student artists of the Art Institute of Boston. The exhibit was derived from a November 2011 photography workshop and a May/June 2012 physical display of the artifacts and photographs at the Warren Museum. Why, after 150 years, do we continue to find the American Civil War so compelling? Certainly the nature of the conflict and the appalling number of casualties--some 620,000 killed in action or dead of wounds or disease--have engrossed the attention of historians, researchers, and the public since the war itself. The war was also fought on home soil, with many battlefields near American cities and towns. Even more gripping, perhaps, is the array of documentation that survives from the war. 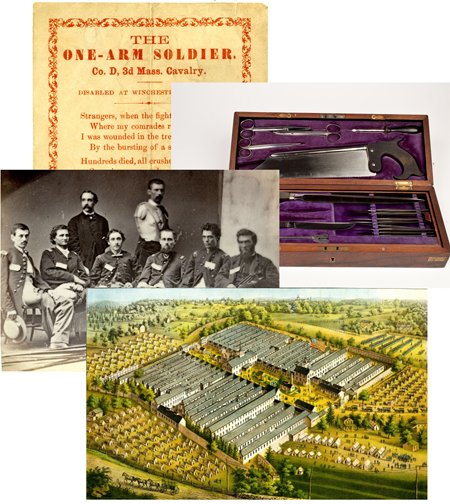 Hundreds of books and memoirs of wartime experiences and military life have been published over the years, but there are also rich collections of official government and military records, personal letters and diaries, photographs, newspapers and periodicals, clothing, artifacts, relics, weapons and armaments, memorabilia, artwork, poetry, and music, documenting every conceivable aspect of the Civil War, from men and women, Union and Confederate, soldiers and civilians, that offer local and personal dimensions to an epic national political and military struggle. Battle-scarred examines the Civil War from a particular perspective, drawing on the rich library and museum resources of the Countway's Center for the History of Medicine, to commemorate those who died in battle and also document the experiences of the wounded and the ill and the men and women who cared for them on the battlefield, in hospitals and prison camps, and on the home front. At the beginning of the 19th century, Boston was on the verge of becoming one of the leading centers of medical education and research in the United States. Although Harvard's medical school had been in existence in Cambridge since 1782, it would soon move across the Charles River to Boston. The Massachusetts General Hospital would be incorporated in 1811, and other hospitals—the Boston Lying-In and the Massachusetts Eye and Ear Infirmary—would soon join it. The New England Journal of Medicine and Surgery would begin publication in 1812 and soon merge with The Boston Medical Intelligencer (established in 1823) to form The Boston Medical and Surgical Journal, one of the country's most influential and long-lasting medical periodicals. The Massachusetts Medical Society, which was formed in 1781, would be joined by an array of professional organizations, including the Boston Medical Association, the Boston Society for Medical Improvement, and the Boylston Medical Society. But some of the local developments in medicine are less well-known—and have proved less enduring. One of these is the first Boston Medical Library. Formed by a small group of physicians in 1805, the library's collection grew quickly, and yet just twenty years later had all but disappeared. This exhibit traces the few facts known about this library and the aims of its founders and attempts to reconstruct the collection's history from the surviving remnants which have found their way into the Countway Library of Medicine. This “broad foundation” has been the hallmark of Harvard’s efforts in medical education from the origins of the institution in the late 18th century to the present day. 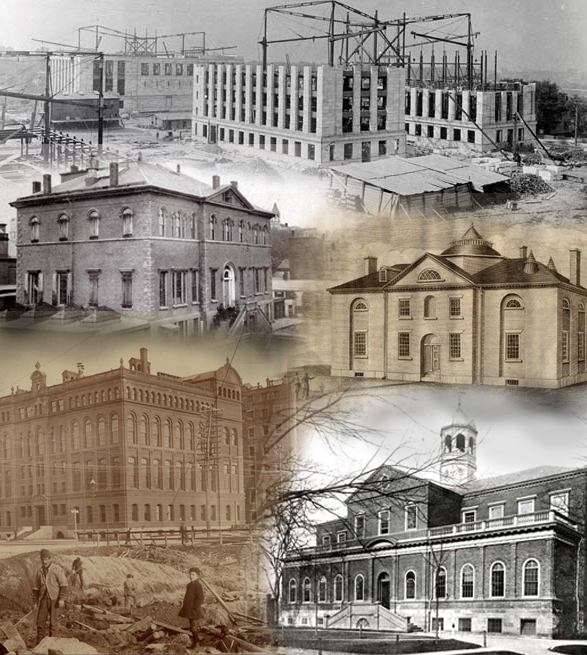 Now, in the 21st century, with the centennial of the dedication of the Longwood campus and the opening of the New Research Building on Avenue Louis Pasteur, Harvard's tradition of providing excellence in medical education and research continues. This exhibit, “A Broad Foundation,” traces the evolving history of medical education at Harvard—its faculty, students, curricula, and facilities—from the establishment of the school and its earliest days down to its current flourishing state. Charles Lowell infamously suffered a well-publicized and controversial hip dislocation. A young man at the time of the incident in 1821, he charged his physicians with malpractice and negligence, arguably helping to start a wave of medical lawsuits. The case was filled with speculation and accusation, but never arrived at a satisfactory conclusion. Years after the court was adjourned, however, Lowell stood to testify as the final witness when, upon his death, his pelvis was prepared and donated. Never pleased with the judicial resolution to drop the case, he advocated for a post-mortem examination in the hopes that the bone could expose all unanswered questions, and prove once and for all that he had been wronged. While large numbers of Americans are now seeking health care and therapies outside of mainstream Western medicine, there is a long and rich history of alternative medical treatments. Botanical medicine, which uses herbs and natural remedies, and traditional Chinese medicine, which combines botany with practices like acupuncture and moxibustion, are two of branches of alternative medicine – "complementary therapies" – that are believed to work alongside conventional treatment. Complementary Therapies brings to light some of the treasures of the collections of the Center for the History of Medicine and includes the first Western texts dealing with Chinese medicine and acupuncture; a copy of John Gerard's 1636 Herball; rare publications from the Thomsonian botanical movement; Lam Qua watercolor studies of tumor patients treated in Canton in the 1840s; and a model of Aké, a Chinese youth with a parasitic twin, and an account of his case from 1821.